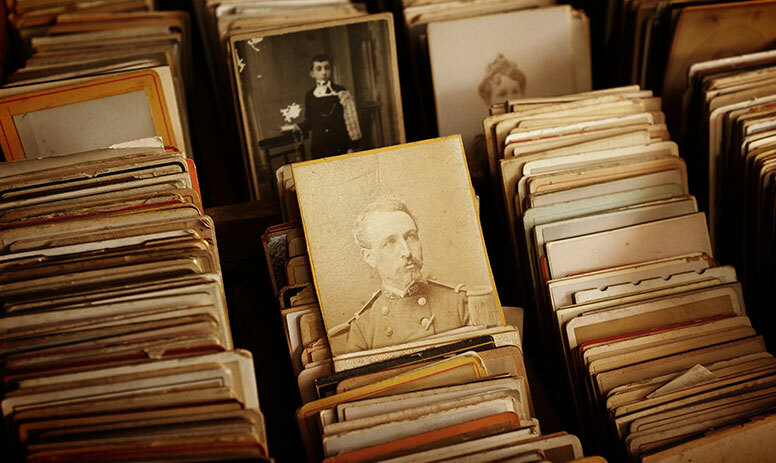 We recognize the sentimental value of old photos, even if they're not that old. We will make copies of your photos in various sizes depending upon the quality of the original. Photos that have been in an album or frame and do not need restoration work, will usually enlarge 2 or 4 times the size of the original. The more defects like: fading, scratches, water damage wrinkles etc; the smaller the copy may need to be to make the defects less noticable. Use the "Photo Reprints Order Form" below to organize and send in your order. Basic pricing is shown on the form. Photos of lesser quality with problems such as fading, tears and wrinkles can be scanned and restored digitally. We do not restore the original, so any work we do would also have to be printed. Retouching: Price ranges from $9.99 to $99.99 +and up depending on level of work needed. See the "Restorations Order Form" for details.